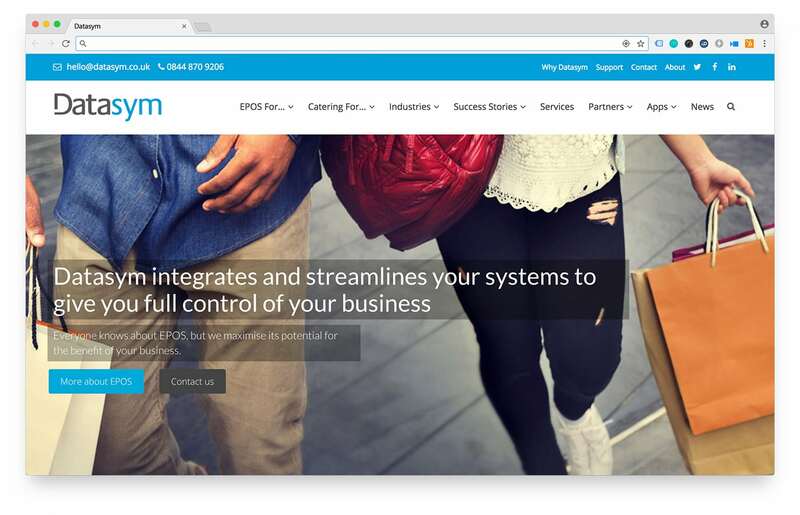 When we were introduced to Datasym, their existing website was outdated and not responsive on mobile devices and in desperate need of an update. They were only able to make changes to the news post section, so WordPress was the obvious choice. Before work began we took the time to have strategy and persona workshops with them so we could fully understand their business and clients. These workshops gave us what we needed to create a cutting edge website that would promote Datasym as a market leader in POS systems and software.